With 2017 drawing to a close, it was only appropriate to celebrate the new as well as the familiar in wine tastings once more before the new year. 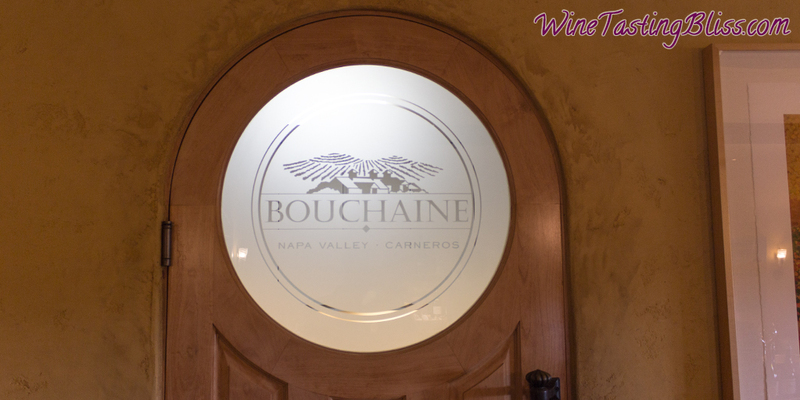 For a new tasting experience, we ventured into the Carneros AVA to visit Bouchaine Vineyards. What a great choice! 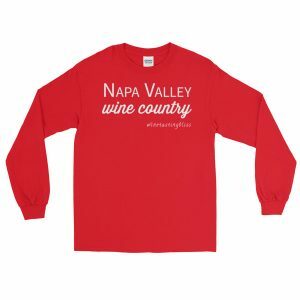 One of the many attractive features of wine club membership is their shareability. 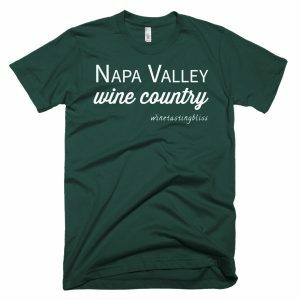 We don’t have to be club members at ALL of the fun wineries, we just need to know someone who is. Something of a divide and conquer strategy. 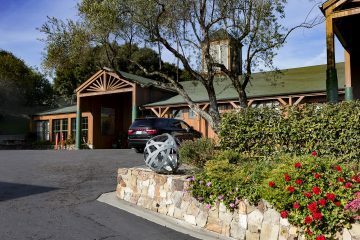 We are members at quite a few wineries, and our circle of friends have their own memberships. This Venn diagram gets pretty inclusive pretty fast, with the right friends. 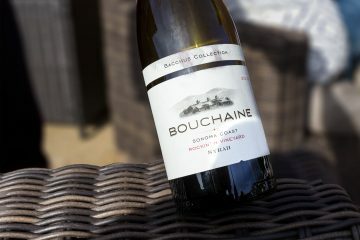 Some of our good friends are members at Bouchaine Vineyards, and they invited us to join them as they visited. The Bouchaine tasting room was bright, warm, and inviting, with wall art ranging from the fine to the farcical. 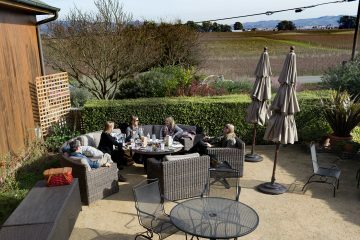 Even though the room had plenty of room along the polished wooden bar, we were interested in soaking in some sun, so we went into the back yard and selected one of the numerous comfortable seating areas. Planning ahead, we had brought along a complete picnic lunch and the seating group gave us plenty of space to spread everything out while we started our tasting flight. 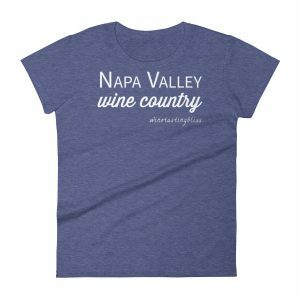 Wine guide Sheena started us out with their 2016 Vin Gris of Pinot Noir. This gorgeous, barely pink wine had tropical fruit and strawberry notes with an intriguing hint of pineapple just at the finish. Love at first sip! Next up was their 2015 Chene d’Argent Chardonnay, with delicate layers of cantaloupe and white peach. We compared that Chard with their 2014 Bouche de Beurre Estate Chardonnay. True to its name, it was buttery, rounded and reminiscent of warm butterscotch. Our next taste was something of a novelty: their 2014 Estate Pinot Meunier. This varietal is rarely tasted, and usually in a small ration as a blending grape. We found this wine to be great on the nose and the palate, with wonderful fruit and a long, balanced finish. We all agreed with Sheena that this would pair well with just about any sort of food. A bit reminiscent of Montepulciano, we found a new friend in this wine! Then, on to the Pinots! The 2015 Dijon Estate Pinot Noir was great, with amazing clarity and depth, with a peppery finish. 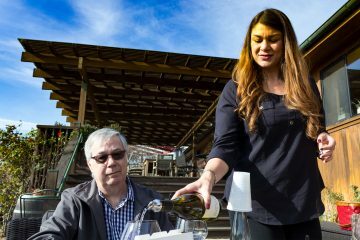 The 2015 Gee Vineyard Pinot Noir was made from the grapes of their neighbor, Dr. Gee. Sheena told us that Dr. Gee really believed in letting the vines do their own thing. That meant no watering beyond what fell from the sky, and no pruning of the vines throughout the year. This back-to-basics approach yielded a great result: a fruit explosion in the mouth, with tame tannins and a lingering finish. Maybe the more fussy vineyard managers could take some notes? The 2015 Pommard Estate Pinot Noir was charcuterie in a glass, with enough dark fruit and spicy tannins to stand up to a nice steak. We tasted their 2013 Cabernet Sauvignon, their last vintage of Cab from a vineyard to the north. We liked the light, yet bold layers of crisp fruit. Rounding out our tasting flight was their 2014 Rocking H Syrah. We really enjoyed the green pepper and green apple notes. A great party wine, it could really stand up to party foods — even nachos and salsa! Very aware that our plans included a tour and tasting at a major champagne house, we thanked Sheena, purchased more bottles than we probably should have, and set off toward the bubbles. Check back in a few days to find out about the second half of our day! 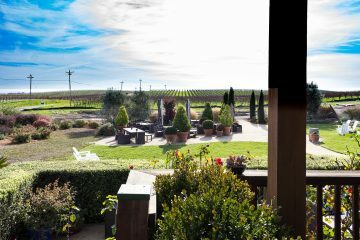 Have you visited Bouchaine Vineyards? Click to give'em a tweet of support!